Your next Domino’s pizza may get delivered emissions free. Bloomberg reports that the restaurant chain is the first U.S. customer for an all-new battery powered car from GreenTech Automotive that entered production in Horn Lake, Mississippi today. Technically a neighborhood electric vehicle, the tiny two-seat MyCar has a range of up to 115 miles per charge, but a restricted top speed of 25 mph. It is not required to meet the same crash test safety requirements as conventional automobiles and is only legal for use on roads with a speed limit of 35 mph or less in most states. 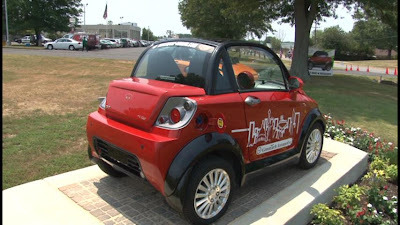 Founded in 2006 by former Democratic National Campaign Committee Chairman Terry McAuliffe and Chinese businessman Charles Wang, the company has secured a deal with a Danish company to export the car to Europe – where laws allow it to operate up to 45 mph. The company expects to build up to 10,000 next year in Horn Lake and a planned facility in nearby Tunica. A start date for U.S. retail sales has not been announced, but the MyCar is expected to have a base price of $15,500. 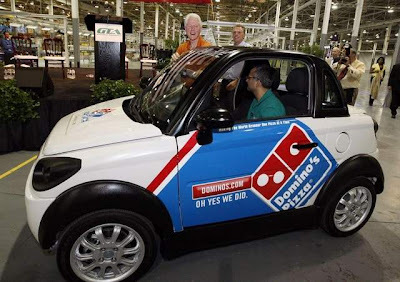 McAuliffe says he expects at least 20 Domino’s franchises to purchase the cars for use as delivery vehicles. 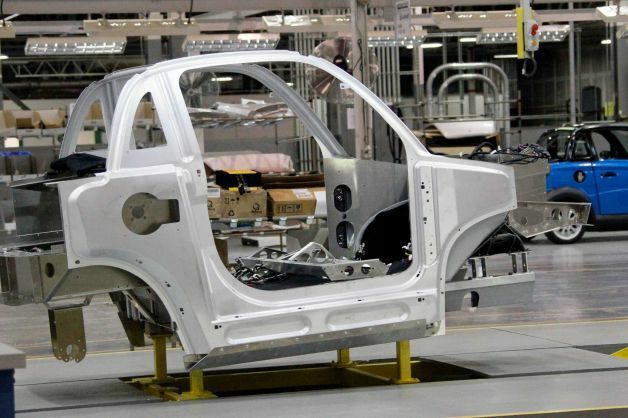 GreenTech Automotive plans to add a highway capable EV to its lineup in 2014.